Genesis II Systems from MICA Corp. provide the industry's most natural range of motion. The systems feature 12 degrees of axial rotation and vertical deflection in both directions, 12-25 degrees of inversion and eversion, 20-30 degrees of plantarflexion, and 7-15 degrees of dorsiflexion, with a promise for free bumper replacement for the life of the foot. Stop by MICA Booth 114 at AOPA. Fluent roll-over that mimics natural gait progression. Visit SPS booth 413 at the AOPA National Assembly in Seattle to view the new Vari-Flex EVO. New Myo Wrist Units: Increase flexion and extension up to 40 degrees with the MyoWrist Transcarpal (10V38) for Otto Bock transcarpal hands and the MyoWrist 2Act (10V40) for all threaded stud versions of Otto Bock Myo hands. Both wrists offer locking in up to five positions, and a ratchet system prevents slipping by keeping the hand precisely positioned as the wearer locks or unlocks it. New Body-Powered Wrist Unit: With three flexion settings and 20 rotation-locking positions, the MovoWrist Flex 10V39 adds flexibility to any of the Otto Bock body-powered terminal devices. LimbLogic™ VS system from Ohio Willow Wood is now waterproof and available at SPS. The only electronic-vacuum suspension system on the market that is safe to use in fresh water, the LimbLogic VS system represents a significant design advancement in vacuum technology. 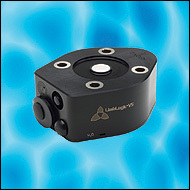 An improved sealing process allows the LimbLogic VS four-hole controller to be completely immersed in fresh water and still provide secure vacuum suspension. New thermoplastic drop-in adapter facilitates use in thermoplastic socket. Applicable to patients weighing up to 300 lb. Visit SPS booth 413 at the AOPA National Assembly in Seattle to view the new waterproof LimbLogic VS system. Need an extra cast cutter? Try out this new, versatile electric unit that helps you save money and gets the job done in a hurry. This cast cutter delivers 11,000 oscillations per minute, letting you do all the tough jobs—just like the more expensive machines. Reliability tested, this unit now comes with a new, extended two-year warranty. Low cost and long life-the best of both worlds brought together in one unit. Replacement blades are available. The Model 1017 Automatic Angled Lever-Lock Knee Joint from Becker Orthopedic is now available from PEL Supply. This modular, lever-lock knee joint with a locking mechanism will automatically engage when the joint reaches full extension. The modular design increases manufacturing options and allows for easier maintenance. The long, angled lever is easy to operate and can be shortened or contoured to suit the wearer's needs. The Model 1017 comes with an optional anterior pull-cable that allows the patient to simultaneously disengage both locks when necessary. Visit SPS booth 413 at AOPA. The SpineCor® Pain Relief Back Brace provides postural rehabilitation to change spinal shape and loading. During a two-year, 200-patient clincal test of the SpineCor, some patients reported pain relief within hours of the first application. Ninety percent reported relief within six weeks of use. Degenerative adult and adolescent idiopathic scoliosis. Spinal stenosis related to spinal misalignment. Orthofeet is offering a large variety of inexpensive stretchable shoes that integrate an attractive design with ultimate comfort and protection. Non-binding toe-box design that enables unrestricted stretch at the entire forefoot area, including the tip of the shoe. 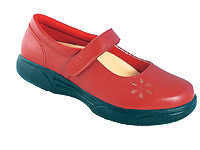 Advanced materials with great elasticity that eliminate pressure points and enhance comfort. Soft, seamless lining, padded with foam that offers unsurpassed protection. The full range of Corflex products is available through SPS-from cervical/spine products such as the Disc Unloader Orthosis to the full range of Corflex humeral splints, shoulder immobilizers, and lower-extremity products. Like all Corflex products, the Boxer Splint (pictured here) is latex-free. 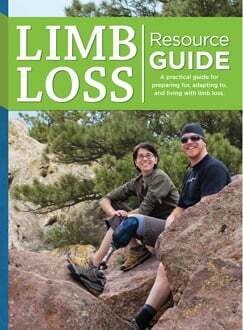 It is anatomically designed to provide comfortable support, protection, and immobilization of the 4th and 5th metacarpals. It is indicated for the treatment of acute and sub-acute fractures of the 4th and 5th metacarpals, commonly referred to as "boxer" fractures. Visit SPS booth 413 at the AOPA National Assembly in Seattle to view products in the Corflex line. A slimmer version of the 3R60, the 3R60-PRO offers higher dynamic function. 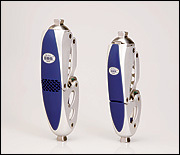 This new addition is thinner, lighter, and cosmetically pleasing for smaller individuals 165 lb. or less and in K3/K4 activity levels. When larger, faster steps are taken, the knee compensates, delivering less stance flexion. The knee provides reduced damping to facilitate knee flexion with small and slow steps. The 3R60-PRO's hydraulic cylinder controls stance flexion, adapting to diverse walking patterns. The movable pyramid adapter makes alignment optimization or adaptation to hip flexion contractures effortless. 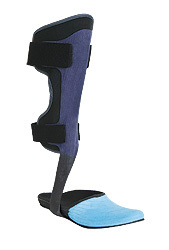 Feel the free-glide difference with the new OAK Orthotic Knee Joint from Fillauer. Patented 30-degree valgum and 6-degree varum adjustment. Thermoplastic or Comfil® Thermo Formable Carbon composite cuffs. Fabricate a dynamic-response partial foot prosthesis by combining it with the benefits of the BlueRockerTM carbon-composite floor-reaction AFO. The additional lever arm offered by the BlueRocker anterior shell helps to disperse pressure distally away from the residual limb, minimizing skin irritation and callus formation. The energy-reflecting properties of the carbon composite assist with propulsion at toe-off to achieve a more fluid and natural gait. 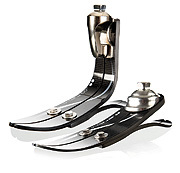 This innovative combination has been reported to minimize many of the common challenges (friction, pressure, shearing forces, and "limping") that present in fabrication of partial foot prostheses, enhancing limb preservation and gait restoration. ThermoTeccTM is the new heat-moldable orthotic system that saves you time and money. ThermoTecc orthotics provide maximum performance with a thin, full-length anatomically designed shell. The very dense 75-durometer lightweight EVA combines a flat bottom for stability with an extended longitudinal arch for mid-stance control and a lateral wall for better control. A deep heel seat with minimal heel raise allows for better biomechanical function, while the cuboid support minimizes lateral foot pain. The very thin and durable forefoot provides added control and is great for use in all types of footwear. ThermoTecc can be purchased as moldable shells or as a complete device with the addition of a PTecLTTM cushioning mid layer and anti-odor, anti-microbial, and anti-fungal BambooTeccTM top cover. Firm, 70-durometer posting strips and heel pads are available for further customizing your device. ThermoTecc footbeds are easy to cut, grind, and glue and are easy to trim to sulcus or proximal to met heads, minimizing the need for additional inventory. ThermoTecc is the most versatile and flexible orthotic system available. 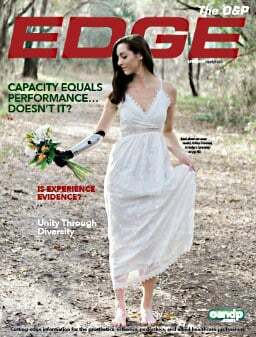 Finally, skin-care products created to help amputees, diabetics, and anyone with problematic skin concerns. Our products contain natural essential oils to address troublesome areas. We use a high-quality, therapeutic-grade tea tree oil and finer-quality essential oils. These oils have been called a "medicine chest in a bottle" and help with rashes, skin irritations, cysts, abrasions, dry skin patches, nail fungus, fungal infections, sunburn, poison ivy, sumac and oak, as well as jungle rot and calluses.